Chucker. Knucklehead. Low IQ player. Headcase. All of these words have been used over the years to describe one Earl Smith III, better known simply as J.R. 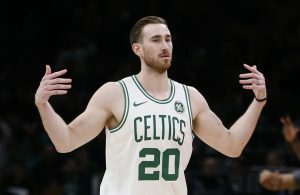 Throughout the course of his decade-long career, Smith has established himself as one of the most polarizing and frustrating basketball players on the planet, and his antics have earned him his fair share of detractors. In fact, Phil Jackson and the New York Knicks grew so frustrated by his behavior that they recently decided to let Smith go for just pennies on the dollar. In a monumental trade consummated just over two weeks ago, the Cleveland Cavaliers effectively overhauled their roster. 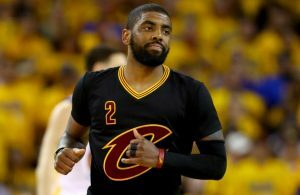 By parting ways with former fourth overall pick, Dion Waiters, and a protected first rounder acquired previously from the Memphis Grizzlies, the Cavs addressed their two most glaring needs – perimeter defense and rim-protection – by acquiring Timofey Mozgov and Iman Shumpert, and agreeing to take on Smith’s contract as nothing more than the price of doing business. 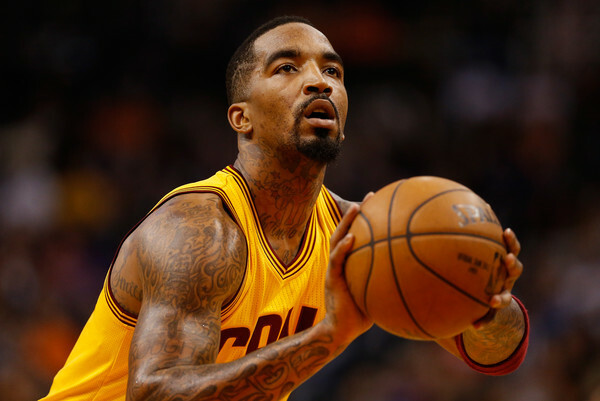 At the time, J.R. was seen merely as trade fodder, a side piece that was necessary in order to bring in Shumpert – the real prize. Many fans were frustrated that the Cavaliers front office would be willing to add what they perceived as a locker room cancer in Smith. What they saw was a hot-headed chucker – an older version of Waiters – but boy were they wrong. 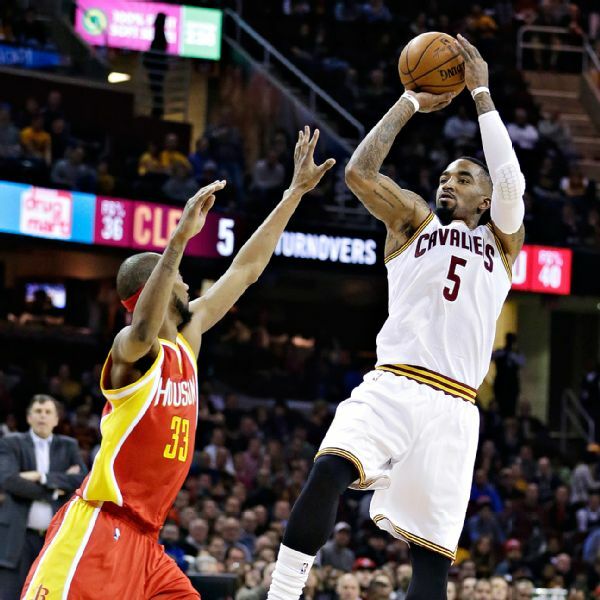 In fact, “Swish” has proven that he just may be exactly what this team needs. He simply is a much better fit than the trigger-happy Waiters, and his play through nine games has effectively proven it. He’s taller, a better spot-up shooter, plays better defense and, most importantly, has, in the past, been accepting of the role of sixth man. At first glance, Smith and Waiters’ statistics this year as Cavaliers may look eerily similar. Their points-per-game averages are comparable – 15.3 for Smith and 15.8 for Waiters – as are their assists, turnovers and respective field goal percentages. Looking deeper into the advanced statistics, however, is where the real differences lie. Smith has proven himself to be a much more efficient version of Waiters through nine games. So far, he has a much lower usage percentage (20.7 to Waiters’ 24.0) and a drastically higher true shooting percentage (56.6 to 46.8), meaning he has the ball in his hands less, but manages to convert at a remarkably higher rate. Add in the fact that he has a much lower turnover percentage (10.3 vs. 12.0), a significantly better plus/minus (+0.8 to Waiters’ -3.0) and a higher player efficiency rating (14.8 to 12.3) and it becomes blatantly obvious that Smith is simply a much more effective player. That alone does wonders for the Cavaliers offense. It allows the ball to flow freely and find the open man, but also instills faith in those teammates who share the court with Smith. They simply will be much more willing to pass him the ball because they know he will either take the open shot and, most importantly, drain it, or keep the ball moving until it finds a better look. That confidence alone can be monumental for team chemistry – something the Cavaliers still currently lack to some degree – especially with the second unit, where the Cavs likely will call on Smith to excel. Ask any Cavs fan – what is their biggest gripe with Waiters? You’ll likely find many of the same answers – that he takes too many long distance two pointers, or that he is not as proficient of a finisher as he probably should be. Many people see him as a ball-stopper who isn’t happy unless he’s taking 15+ shots per game. Up until recently, many of the same things could have been said about Smith, but lately he has been better in each one of the aforementioned areas, and the statistics prove it. A monumental 28.7% of Dion Waiters’ attempted field goals this year came as long distance two’s (shots taken from sixteen feet to the three-point line). Not only are those considered some of the worst shots in basketball, but he also converted them at a measly 36.7% rate, and that is flat-out unacceptable on a team with championship aspirations. Not only has Smith taken far fewer of these low-percentage shots (20.3% of his total FGA), but he also converts them at a drastically higher rate of 50%. For much of Waiters’ career, he has been classified as a “slasher” – a player who excels at using his elite athleticism and finesse to get to the basket and score. While he is proficient at physically getting to the rim, he converts shots from within three feet at an astonishingly low 55.6%. Compare that to teammate Kyrie Irving’s 62.1% and the problem becomes evident; and while Waiters and Smith are somewhat similar players in regards to their slashing ability, the latter is a drastically better finisher – converting at the rim at a rate well over 70%. The bottom line is that J.R. Smith is simply a much better fit on this current Cavaliers squad than Dion Waiters could ever be. Not only is he a better physical specimen in regards to his size, but he is much more efficient in just about every aspect of the game. He keeps the ball moving, takes better shots and finishes at a drastically higher clip; and, most importantly, he is ready and willing to become this team’s sixth man — as Shumpert becomes more acclimated in the coming games — as evidenced by his 2012-13 NBA Sixth Man of the Year award. 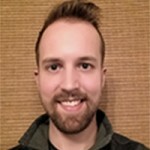 Nick is currently enrolled as a communications student at Virginia Commonwealth University. 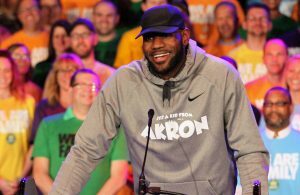 He grew up just outside Akron, Ohio and has been a die-hard fan of all things Cleveland sports since birth. Even after all the sad moments from "The Move" to "The Decision," and everything in between, he remains optimistic about the future of his beloved teams. Nick is proud to be a contributor for Cavaliers Nation. You can follow him @nickversaw.